Brain tumor patients have poorer survival rates than breast cancer patients; one of the many reasons why we need to find a cure , as well as advance therapies and treatments. This is why we race . . . Join us and raise funds in support of brain tumor research. The SBTF is a 501(c)(3) not-for-profit organization and a public charity. Race day check in begins at 6:30 A.M. and ends at 7:15 A.M. 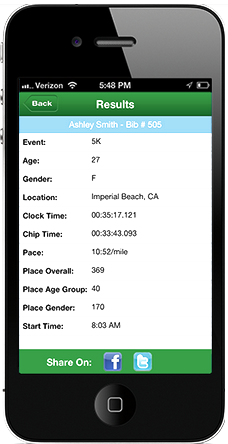 Directions and parking information can be found in the Race Info section of this website. The Pinnacle lot, located within Atlantic Station in Atlanta is the site of this year's event which includes the Awards ceremony Driving directions can be obtained by web search of Pinnacle Lot Atlantic Station or by using the address of 241 20th Street, NW, Atlanta, GA 30363. On-site registrants will receive a race bib, and cotton t-shirt. Shirts are not guaranteed and are available while supplies last. On-site registrants of the 5K will also receive a timing chip. We request all walkers (whether 5K or 1K) line up behind runners to help facilitate the start of the Race and avoid collisions. Children and strollers are welcomed, however if you bring a stroller we ask that you also start behind the runners. Registration fee: $5, includes race day shirt. Available to children ages 5 and under; occurs from 8:30am-8:45am (approx time). Additional information about Tot Trot registration and location can be found on our Event Activities page.